TEXAS SHOOTING 26 DEAD! False Flag? Gun Grabs Coming Soon?! I find it very sad that so many are talking about conspiracy theories, gun control, and politics, as though human lives don't matter anymore. No one wants to feel. Everyone is numb. As a truth seeker since before 9/11, I was motivated by the grief families were going through. Especially after 9/11. So let's please take a moment and think about them. Imagine losing a member of your family? Horrible! 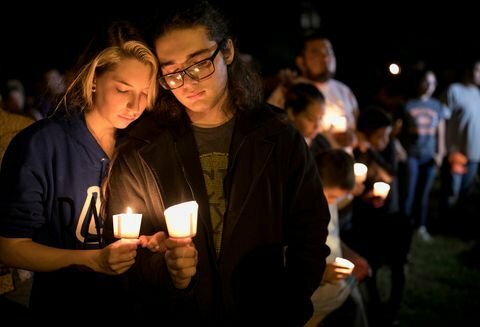 A candlelit vigil in Sutherland Springs, Texas for the victims. I Am Not A Liberal. I Just Play One, Sometimes. Please remember, I am an entertainer, not an activist. Why bother talking about politics anyway? Trump is not going to support any new gun legislation. That is delusional thinking. These shootings will help the far right take over the rest of the government. You want to talk False flags? There you go. The Dems just lost Tuesdays' Virginia race. Hear me out. People are TERRIFIED and Democrats are talking about gun control? WHAAAAT? They are never gonna win the midterms. Democrats are gonna lose even MORE seats. I'm not saying they are but these shootings are like "false flags". A false flags' aim is to hurt an opponent politically, economically, or make them look bad. In this case, the far right wins again. Every shooting has cos the Dems seats in the house and senate. Have you looked at a map of the 2016 elections? Nearly every state has gone RED. The families of the victims are devout Christians. Southern Baptists. They don't want new gun laws! They have Jesus to help them heal. 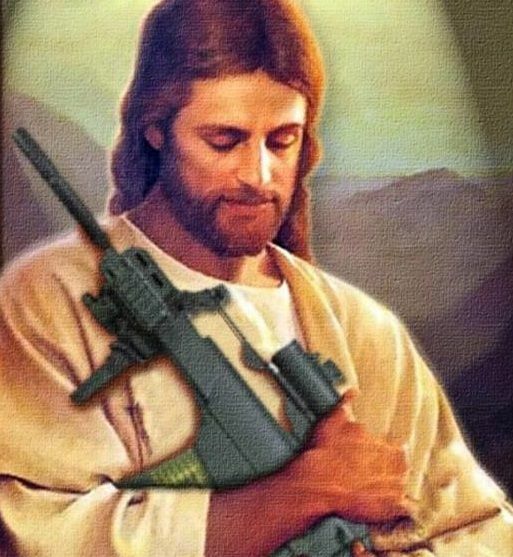 If anything, they want more guns, bullets, and bibles!! Good question! 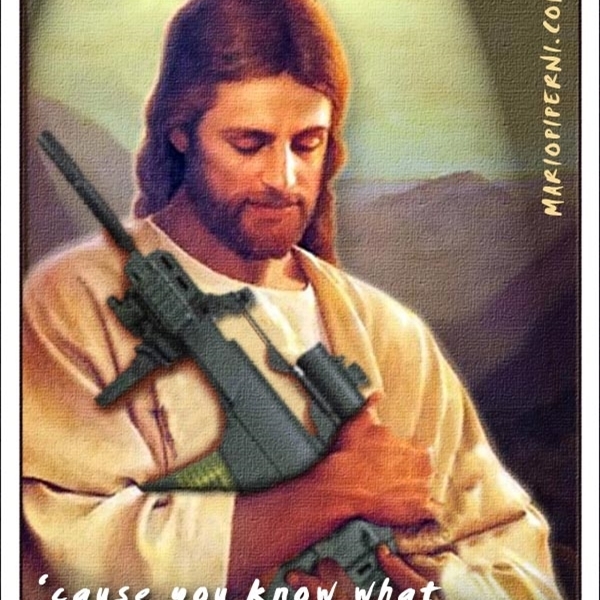 I have no idea what Jesus would do. Do you?